We will be publishing a full review of the entire ON Running line, both men's and women's soon but here is a quick take on the highly functional and stylish ON Hybrid Shorts and Tank. 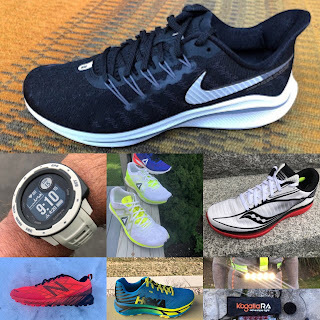 ON is well known for its Swiss Engineered running shoes. Of particular note are their always spectacular uppers. So it is no surprise that ON has incredible run clothing. ON Running Pants (RTR review) have been my winter goto for the last two years for their light weight, wind resistance, and excellent comfort temperature range. My wife has run daily in her ON Weather Jacket also covered in the review linked above. On Running apparel is in my experience of the highest quality and comfort, is beautifully design with excellent materials and features specific to running, and is worth its premium pricing. Available at Running Warehouse here. Don't be fooled by the casual beach lifestyle look. The Hybrid is a highly functional run short. 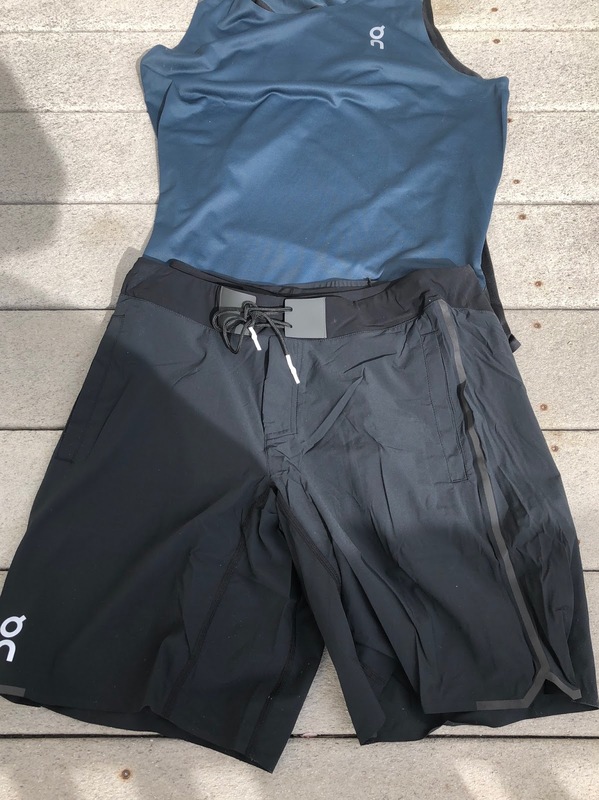 By making the provided inner lightly compressive liner with its 2 thigh pockets removable via two buttons, you can mix and match other kinds of run underwear or compression shorts. As ON says on the hang tag go for a post run swim in the modest enough inner short and carry on with the rest of your day and activities with the outer shell. The outer shell short is very soft and light but has enough length and handy features such as drop in pockets, the outer drawstring, and fake half fly to go anywhere other more casual shorts can. It dries very quickly. The inner short tight is lightly compressive, chafe free so far and has two thigh pockets. The larger one can swallow and totally secure any size phone. The other pocket is good for gels and small items. The ON tank with its subtle conservative colors, maybe a bit on the dark side for sunny days, matches the shorts. 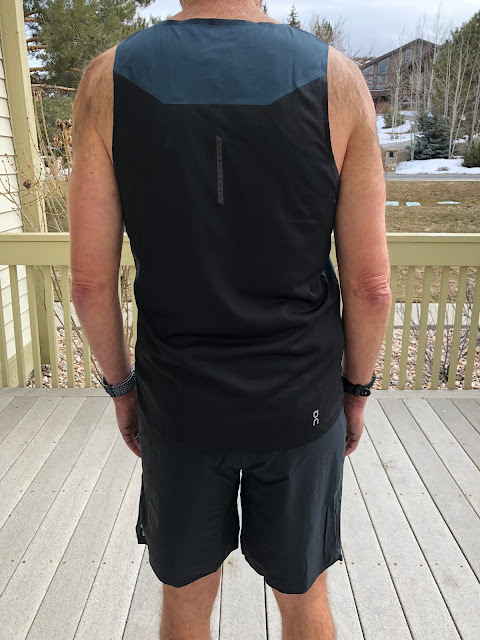 The tank looks like it is a solid fabric but is actually very fine mesh in two weights with the black back ever so slightly more open. It is very soft and light with adequate coverage and has reflective highlights. 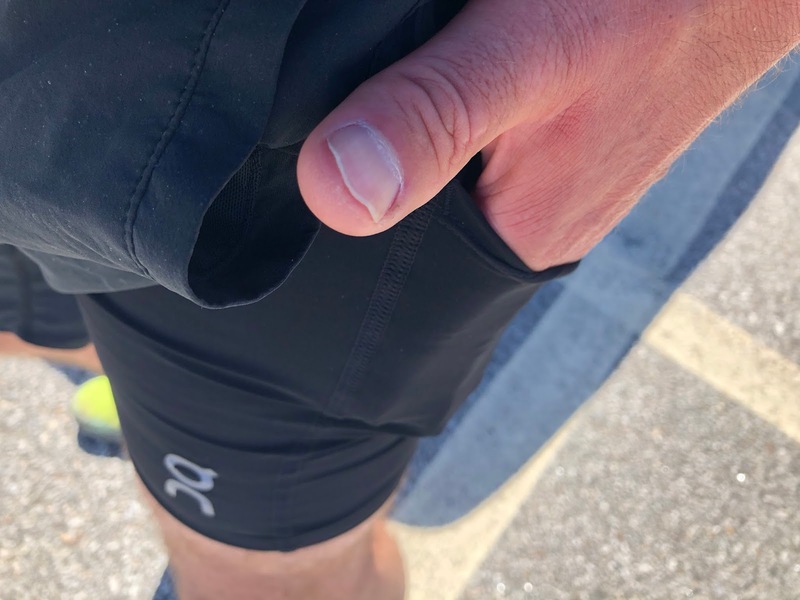 The fit is true to size and relaxed, neither to long and baggy or overly fitted and snug, so it feels incredibly comfortable as the heat and sweat build up, sitting lightly and without sticking on the skin. 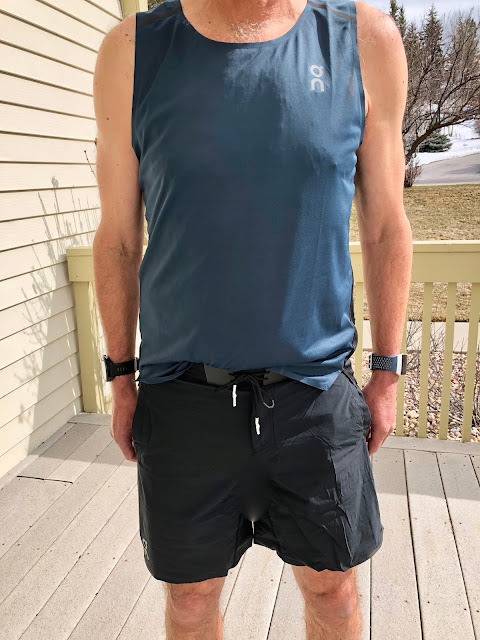 The 5 pockets, light barely there feeling and chafe free comfort make the Hybrid a great long run, ultra, and race day short and a great option for all activities and travel as well. The Tank-T is a great for any run workout, the gym, and even if you can pull it off more casual wear. 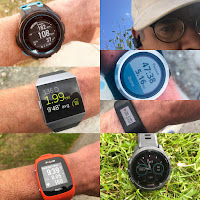 Stay tuned for our full review of the entire ON Running Apparel line for men and women. The Hybrid Short was a personal purchase. The T-Tank was provided at no cost. The opinions herein are entirely the author's.